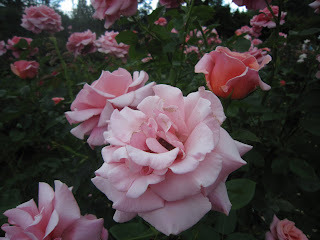 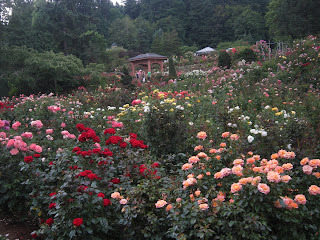 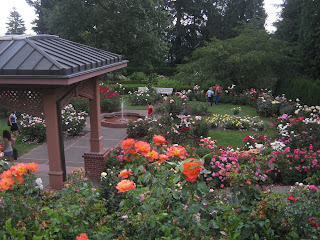 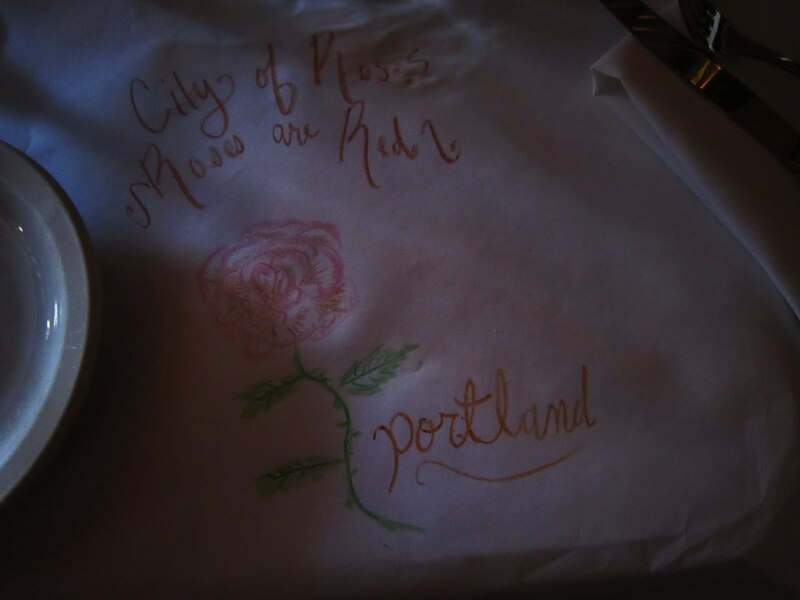 This past week I was in Portland, where roses are incredibly abundant. 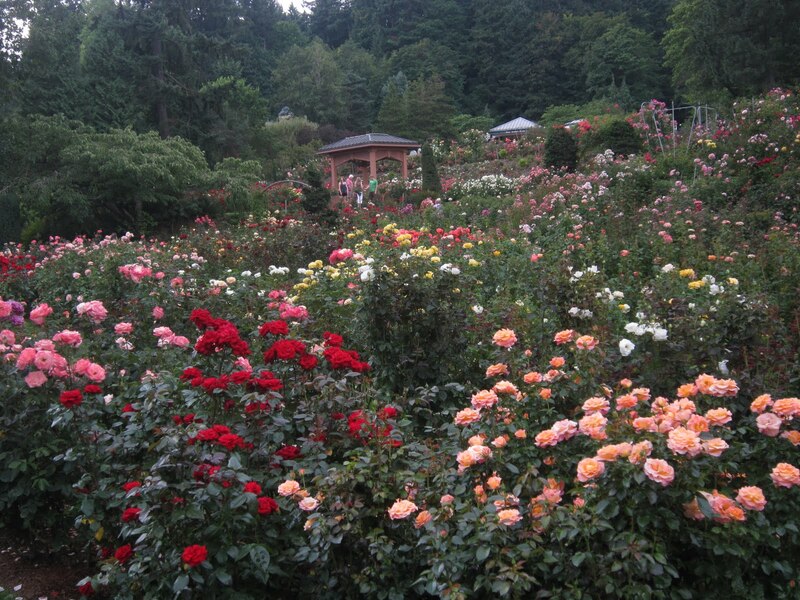 The International Rose Garden was particularly rosy. 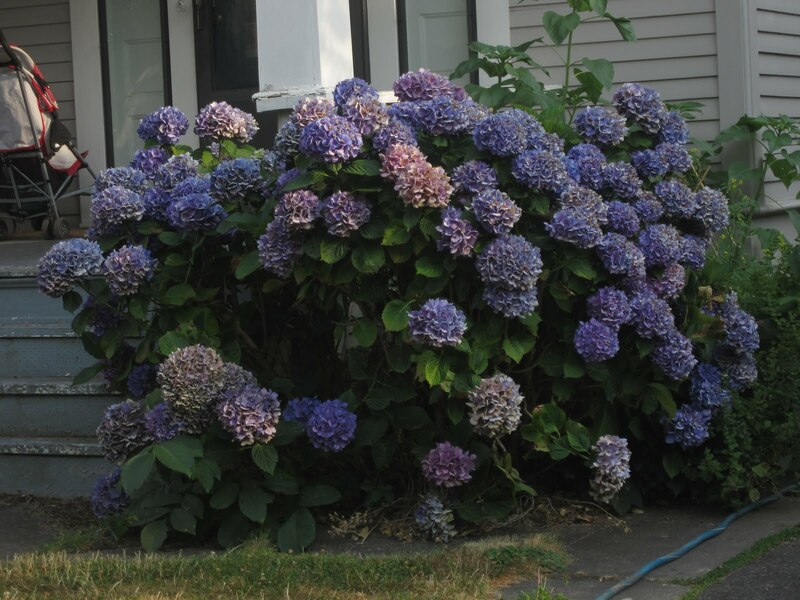 They have excellent hydrangeas everywhere as well, and lots of blooming trees that don't grow in MN. So of course it led to some pictures and a doodle on a restaurant paper place-mat.